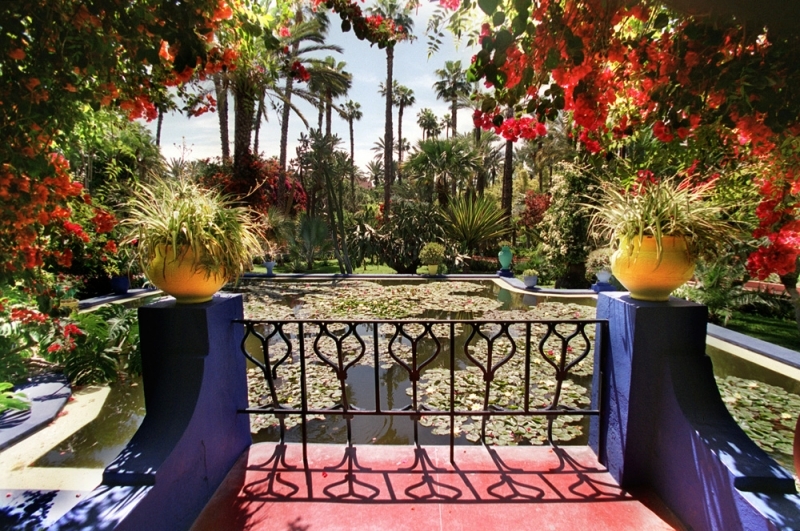 The Majorelle Garden, This enchanting spot, a symphony of light and colour, filled with exotic flowers and plant life and alive with birdsong and the murmur of fountains, was created by the French painter Jacques Majorelle, who came to live in Marrakech in 1922. 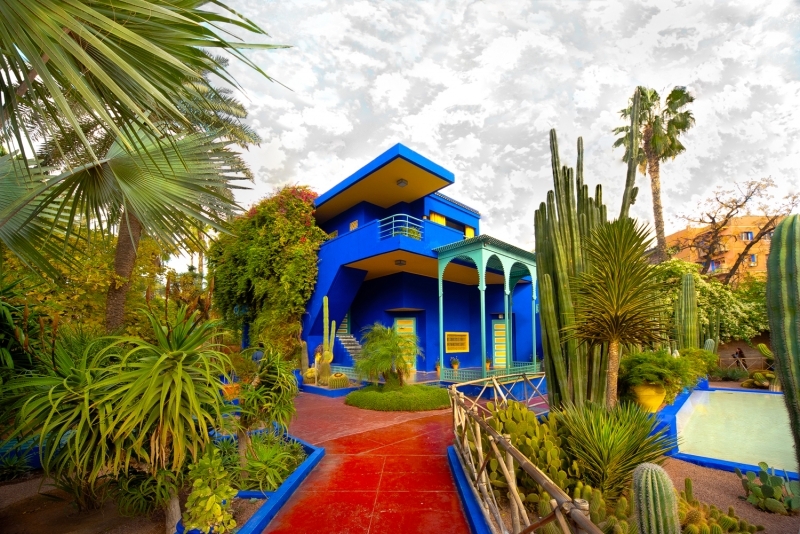 The artist painted the walls of his Art Deco villa and garden a vibrant and luminescent ultramarine. 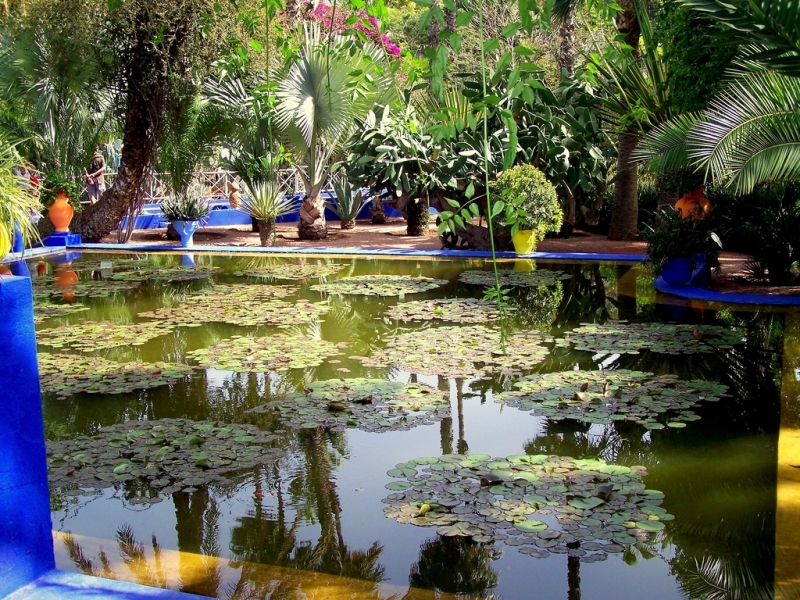 Set as it is in the heart of an ochre red city, his blue garden certainly raises a few eyebrows – it is, however, the blue of Marrakchi skies! 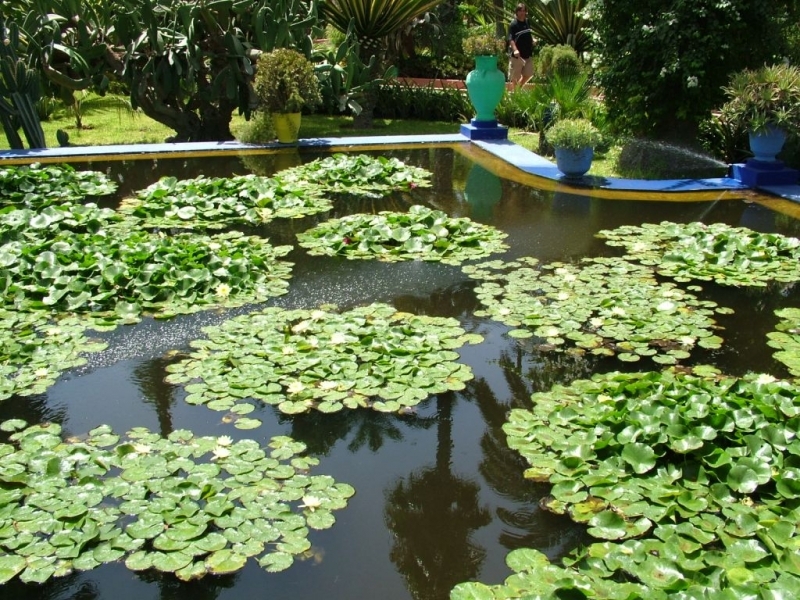 The property now belongs to the Pierre Bergé- Yves Saint-Laurent Foundation,and houses a museum of Islamicart, along with the ashes of the famous couturier himself.